What is the deal with all of these food recalls? First, it was romaine lettuce. Now it’s goldfish crackers. 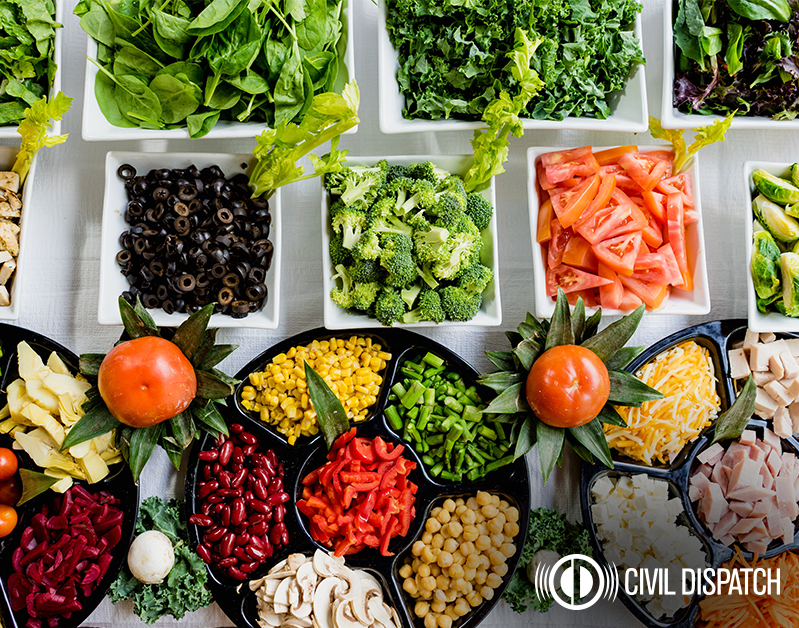 The Center for Disease Control and Prevention (CDC) and Food and Drug Administration (FDA) has certainly been busy. It seems like every week this summer a different food is under scrutiny of a potentially harmful outbreak. From E. Coli to Salmonella, here is what you need to know about the latest food recalls. Fareway Stores chicken salad recalled after one person died and 265 people became ill from salmonella. Rose Acre Farms recalled 206,749,248 eggs due to salmonella fears after 35 cases and 11 hospitalizations. The FDA and CDC recalled all romaine lettuce from Yuma, Arizona due to E. Coli contamination which resulted in 53 cases in 16 states. Kellogg’s recalled its Honey Smacks cereal due to a salmonella outbreak infecting 100 people in 33 states. The CDC recalled pre-cut watermelon, honeydew melon and cantaloupe because of a Salmonella outbreak that spanned 23 states and left 60 people sick and 31 people hospitalized. The FDA and CDC warned people not to eat crab meat from Venezuela. At least 12 people from Maryland, Louisiana, Pennsylvania and the District of Columbia suffered symptoms from a bacteria known as Vibrio parahaemolyticus. Four were hospitalized. Hy-Vee voluntarily recalled its Spring Pasta Salad due to multiple reported illnesses in Minnesota, South Dakota, Nebraska and Iowa. A salmonella outbreak occurred in 26 states linked to raw turkey. However, no formal recall has been issued. Multiple types of Goldfish, Ritz Crackers and Swiss Rolls made by Flower Foods were recalled due to the potential risk of salmonella. Pinnacle Foods, Inc. recalled Hungry Man Chipotle BBQ Sauces Boneless Chicken Wyngz due to a potential Salmonella contamination. Typically a majority of the FDA’s recalls are centered around undeclared ingredients such as peanuts or soy, which can cause allergic reactions. However, the recent spike in Salmonella recalls raises questions about the cause of all of these outbreaks. Salmonella is the name given to over 2,000 types of bacteria. The bacteria causes an infection called salmonellosis. It is estimated that salmonella sickens 1.2 million people in the U.S. every year, causing 23,000 hospitalizations and 450 deaths. Salmonella lives in the gut of infected human and animals and is shed through feces. Infected livestock most commonly lead to contaminated food and water. The recent recalls of Goldfish, Ritz crackers, Swiss Rolls and Honey Smackers have shocked some who did not know that salmonella could contaminate dry goods. However, whey powder is a byproduct of milk and can be contaminated with salmonella. Consuming salmonella leads to an intestinal infection that can cause abdominal cramps, fever and diarrhea. The symptoms typically appear three to four days after consumption and can last up to seven days. However, if the infection spreads to the bloodstream then it can lead to hospitalization. Salmonellosis can be deadly if not treated quickly with proper antibiotics. E. Coli is also a type of bacteria that typically lives in the intestines of people and humans. However, certain strains of E. Coli can cause intestinal infections. The symptoms are similar to Salmonella, including diarrhea, abdominal pain and fever. Severe cases can lead to kidney failure. E. Coli exposure is usually from contaminated food or water, typically raw vegetables and undercooked ground beef. Clean, separate, cook and chill your food. Wash fruits and vegetables with running water. Don’t cross-contaminate food. Keep raw meat separate from everything else in your kitchen. Avoid eating high-risks such as undercooked eggs or unpasteurized milk.